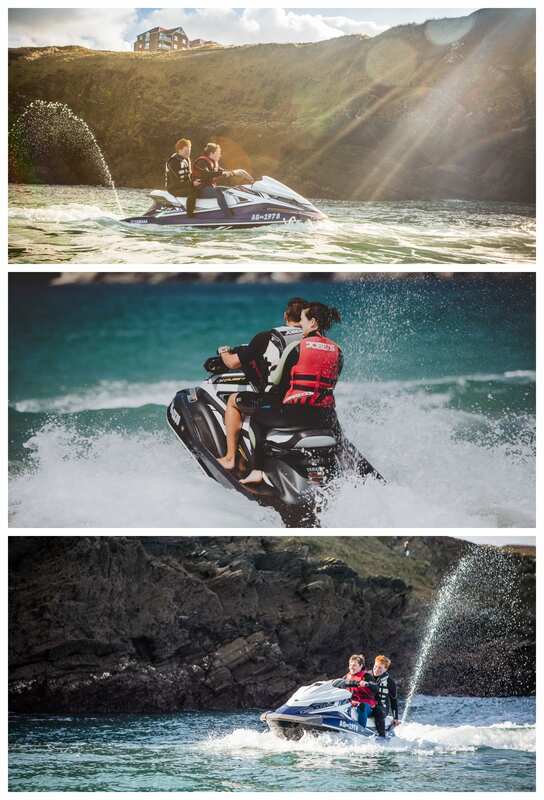 Experience a longer blast on one of our Yamaha Waverunners along the South coast of Cornwall. You will receive training to drive before you leave Lusty Glaze Beach in Newquay. Once instruction has been given you will be in the driving seat, accompanied by one of our friendly Jet Ski instructors. Covering 6-8 miles, you will experience the stunning South Cornish Coast from a new perspective. The Advanced Jet Ski Session is an excellent activity for those looking to gain confidence on the Jet Ski. Suitable for both beginners and advanced level. Wetsuits and Buoyancy Aids are provided by us – please bring with you swimwear and a towel. Done an Advanced Jet Ski Session before? Why not try one of our Mini or Ultimate Jet Ski Safaris?